CHARLOTTE AMALIE – One beach on St. Thomas has failed water in quality testing done by the Department of Planning and Natural Resources (DPNR) and is not considered safe to swim or fish in. 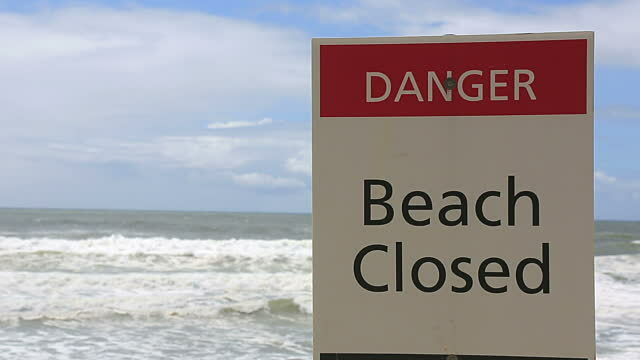 DPNR said Friday afternoon that Sapphire Bay beach on St. Thomas should be avoided by swimmers and fishermen because the waters around them do not meet established water safety standards. Some 35 beaches were tested from April 18 to 22 on St. Thomas, St. John and St. Croix. Last week all the beaches in St. Croix were also considered safe to swim and fish in, but testing was not done in St. Thomas or St. John. DPNR said it has been testing the ocean waters in Tier 1 Coastal Zone Management areas since 2004 after the federal Beach Act was passed by Congress as an extension to the clean water act in 2000, DPNR environmental engineer Benjamin Keularts told the Virgin Islands Free Press. Hello, is Sapphire beach in St. Thomas safe for swimming and fishing yet or it’s still ban? We are traveling to st. Thomas next month and looking for a place to stay, debating between Sapphire Beach Resort and Wyndham Magarritaville (Cook Beach area). Thank you. Is Sapphire beach is St Thomas safe for swimming? I’ll be traveling in April 2019 and planned on staying at Sapphire Beach Resort. Also where would I look on the web for the latest water testing in the area? You can follow this online newspaper every week when DPNR releases a new report. Also, you can search our website going back to 2015 with the keyword “Sapphire” to see how many times that beach has been cited in the past.